At the Digital Humanities Benelux 2017 conference, the e-humanities Events working group organized a panel with the titel “A Pragmatic Approach to Understanding and Utilizing Events in Cultural Heritage”. 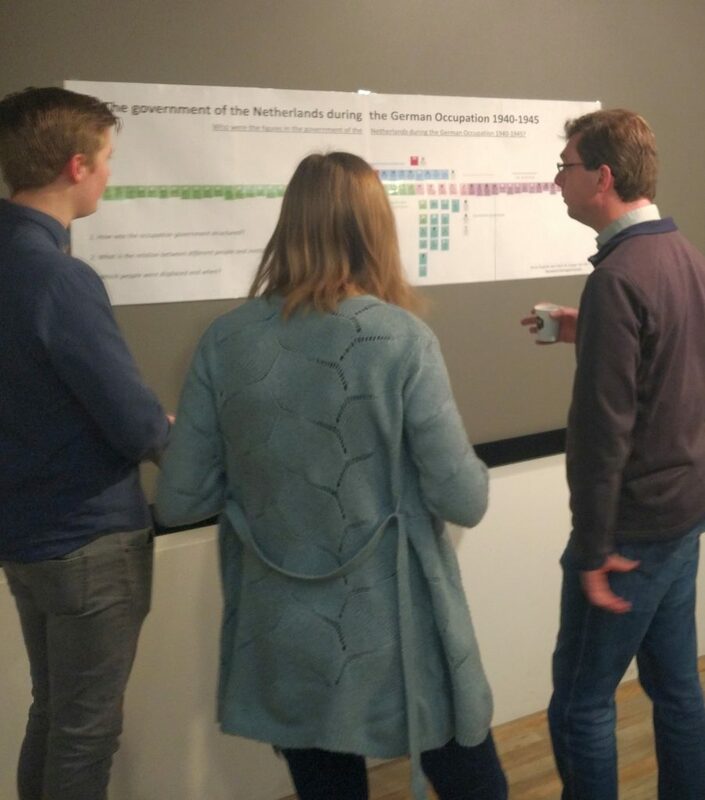 In this panel, researchers from Vrije Universiteit Amsterdam, CWI, NIOD, Huygens ING, and Nationaal Archief presented different views on Events as objects of study and Events as building blocks for historical narratives. The session was packed and the introductory talks were followed by a lively discussion. From this discussion it became clear that consensus on the nature of Events or what typology of Events would be useful is not to be expected soon. At the same time, a simple and generic data model for representing Events allows for multiple viewpoints and levels of aggregations to be modeled. The combined slides of the panel can be found below. For those interested in more discussion about Events: A workshop at SEMANTICS2017 will also be organized and you can join! Last week, the Volkswagen Stiftung-funded “Mixed Methods’ in the Humanities?” programme had its kickoff meeting for all funded projects in in Hannover, Germany. Our ArchiMediaL project on enriching and linking historical architectural and urban image collections was one of the projects funded through this programme and even though our project will only start in September, we already presented our approach, the challenges we will be facing and who will face them (our great team of post-docs Tino Mager, Seyran Khademi and Ronald Siebes). Other interesting projects included analysing of multi-religious spaces on the Medieval World (“Dhimmis and Muslims”); the “From Bach to Beatles” project on representing music and schemata to support musicological scholarship as well as the nice Digital Plato project which uses NLP technologies to map paraphrasing of Plato in the ancient world. An overarching theme was a discussion on the role of digital / quantitative / distant reading methods in humanities research. The projects will run for three years so we have some time to say some sensible things about this in 2020. 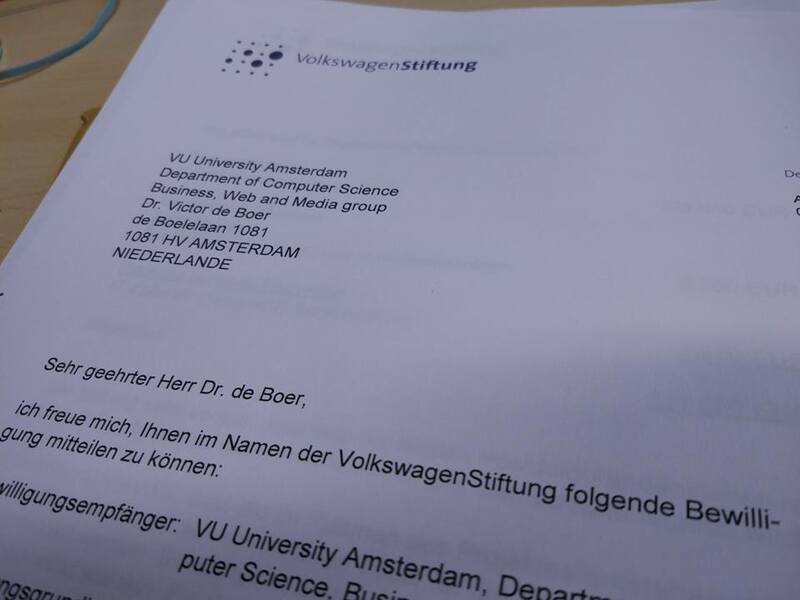 I received a good news letter from Volkswagen Stiftung who decided to award us a research grant for a 3-year Digital Humanities project named “ArchiMediaL” around architectural history. 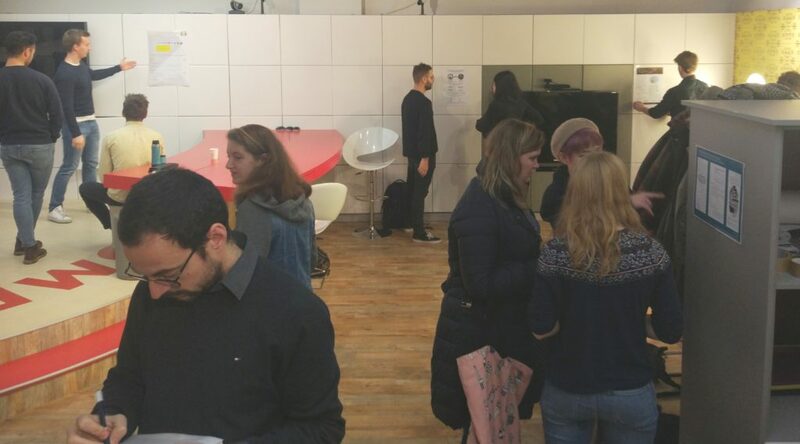 This project will be a collaboration between architecture historians from TU Delft, computer scientists from TU Delft and VU-Web and Media. A number of German scholars will also be involved as domain experts. The project will combine image analysis software with crowdsourcing and semantic linking to create networks of visual resources which will foster understanding of understudied areas in architectural history. From the proposal:In the mind of the expert or everyday user, the project detaches the digital images from its existence as a single artifact and includes it into a global network of visual sources, without disconnecting it from its provenance. The project that expands the framework of hermeneutic analysis through a quantitative reference system, in which discipline-specific canons and limitations are questions. For the dialogue between the history of architecture and urban form this means a careful balancing of qualitative and quantitative information and of negotiating new methodological approaches for future investigation. Today, the TPDL (International Conference on Theory and Practice of Digital Libraries) results came in and both papers on which I am a co-author got accepted. Today is a good day 🙂 The first paper, we present work done during my stay at Netherlands Institute for Sound and Vision on automatic term extraction from subtitles. The interesting thing about this paper was that it was mainly how these algorithms were functioning in a ‘real’ context, that is within a larger media ecosystem. The paper was co-authored with Roeland Ordelman and Josefien Schuurman. On the second paper, I am one of the co-authors. 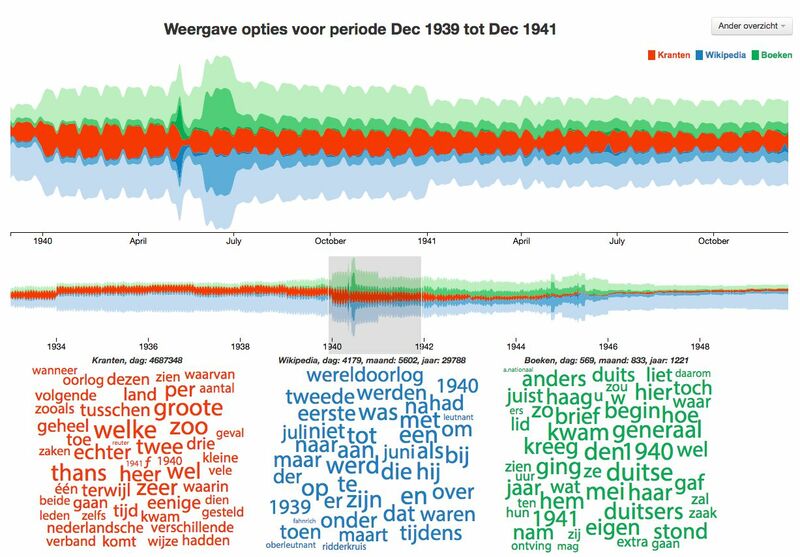 In the paper “Supporting Exploration of Historical Perspectives across Collections”, we present an exploratory search application that highlights different perspectives on World War II across collections (including Verrijkt Koninkrijk). 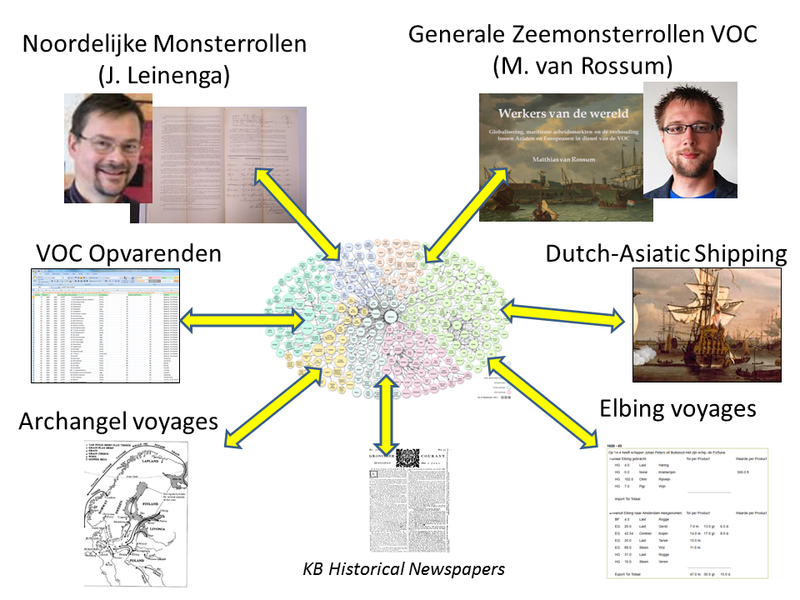 The project is funded by the Amsterdam Data Science seed project with Daan Odijk, research assistants Cristina Gârbacea and Thomas Schoegje, VU/CWI-colleagues Laura Hollink and Jacco van Ossenbruggen and historian Kees Ribbens (NIOD). You can read more about it on Daan’s blog.